Have your hair styled the way you want by having it done by one of our certified stylists! 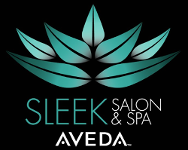 Our team has experience in all the latest Aveda products, designs and techniques for women, men, and children. All hair services will begin with a complimentary consultation to ensure your new style is up to date and beautiful, just for you. Our categories of Master & Junior are based on length of time, amount of education, & amount of experience in the industry.